Editor’s note: We recommend (in moderation of course) selecting fair trade, sustainably sourced organic coffee. Many people around the world wouldn’t dream of starting their day without a piping hot cup of joe. Not only does coffee taste great, but it gives us a burst of much-needed energy first thing in the morning, and the heat from the coffee gives us comfort and warmth as well. So, to all the coffee aficionados in the world, please feel free to raise your mugs and toast all of your coffee drinking friends after reading this article. 1. YOU WILL INCREASE YOUR METABOLISM. This is good news for anyone thinking of starting a workout routine, or for others who have an exercise regimen in place already. The caffeine from the coffee will naturally boost your energy levels, revving up your metabolism so you can kickstart your day. While the effects are short-lived, you can still take advantage of the extra energy while it lasts. Also, drinking coffee after a workout can even increase the metabolism. A study published in the Journal of Applied Physiology found that endurance athletes who had a cup of coffee after exercise had a 66 percent increase in muscle glycogen, which helped them to quickly replace energy stores used during exercise. 2. DRINKING COFFEE WILL MAKE YOUR BRAIN HEALTHIER. Coffee offers a bevy of benefits for you brain – studies have found that drinking 3-5 cups of coffee per day can decrease the risk of developing Alzheimer’s disease and dementia by as much as 65% in middle-aged men and women. Other studies have found that drinking coffee daily can lower the risk of developing Parkinson’s disease, a neurodegenerative disorder, by as much as 32-60%. Secondly, drinking coffee can block a particular nucleoside in the brain known as adenosine. Adenosine decreases the firing of neurons and the release of beneficial neurotransmitters within the brain. Because caffeine inhibits adenosine, it increases the production of beneficial chemicals such as dopamine, serotonin, and norepinephrine. Additionally, other studies have found that coffee increases cognitive performance, mood, reaction time, memory, and alertness. 3. IT WILL MAKE YOU HAPPIER. A groundbreaking study performed by researchers at the Harvard Public School of Health found that adult men and women who drank two to four cups of caffeinated coffee each day had a 50% lower risk of suicide compared to those who drank decaf coffee or no coffee at all. 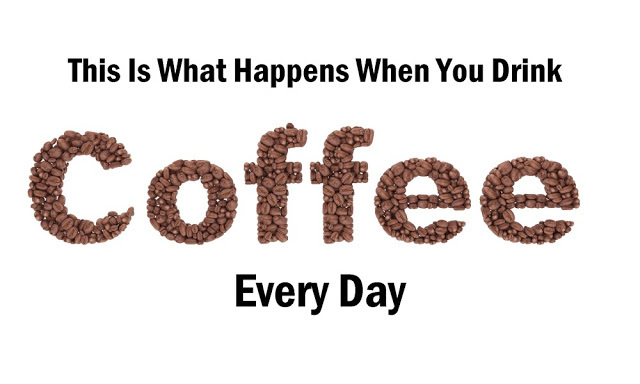 In addition, coffee contains many antioxidants, even more so than fruits and vegetables combined. It also contains beneficial nutrients such as Vitamins B1, B2, B3, and B5, as well as potassium and manganese. All of these factors contribute to the major happiness boost you will feel from indulging in a cup or three of warm coffee each day. 4. DRINKING COFFEE WILL REDUCE YOUR RISK OF DEVELOPING SKIN CANCER. A study published in the Journal of the National Cancer Institute found that older adults who consumed four or more cups of coffee per day had a 20% lower risk of developing malignant melanoma, the deadliest form of skin cancer in the U.S. Researchers believe that coffee protects against certain types of skin cancer due to the high amount of antioxidants and phytochemicals present. 5. YOU’LL HAVE A LOWER RISK OF DEVELOPING TYPE 2 DIABETES. Finally, according to another study led by researchers at the Harvard School of Public Health, people who increased their coffee consumption by one cup per day over the course of four years had an 11% lower risk of developing Type 2 diabetes compared with those who made no changes to how much coffee they drank. What’s more, the study discovered that those who decreased their coffee consumption by more than one cup per day increased their risk of Type 2 diabetes by 17%. Now that you know about all the incredible health benefits of drinking coffee, you have all the more reason to enjoy a few cups per day, or start drinking it if you’ve been skeptical.